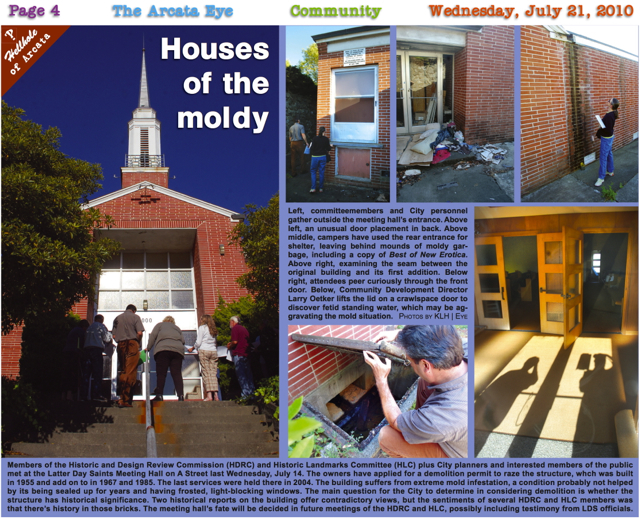 A joint visit by the Historic and Design Review Committee and Historic Landmarks Committee to the neglected LDS Meeting House was featured in the "Hellholes of Arcata" series in the July 21, 2010 edition. Note: Those wishing for more raw data and back story on the LDS Meeting House issues can find it here. – Ed. 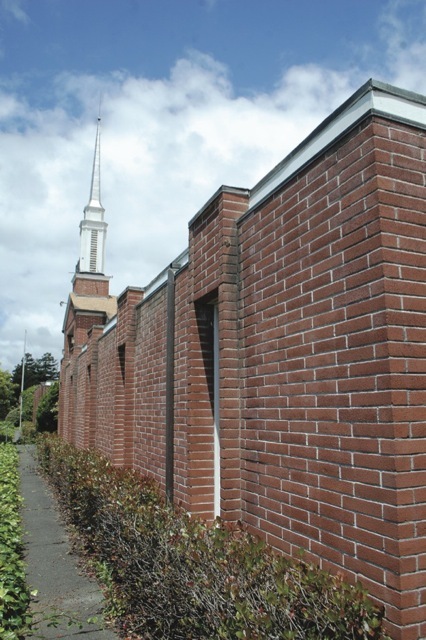 A STREET – The City will approve a building permit for demolition of the Latter Day Saints (LDS) Meeting House on A Street, the Planning Commission was told last week. 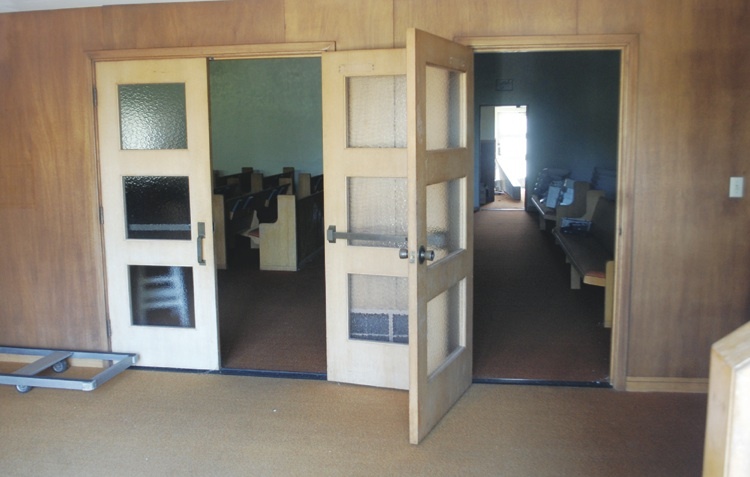 The LDS Church hasn’t used the moldy building since the 1980s 2004 and has wished to tear it down since 2001, when it first applied for a demolition permit. The church has said that it doesn’t need the building and that repairs necessary to restore it to safe use would be prohibitively expensive. Opinions varied as to whether the building was sufficiently distinguished historically or architecturally to merit preservation. The LDS Church said it was nothing special, but local historians and preservationists disagreed. But all of that became irrelevant Oct. 28, when the LDS church withdrew its previous demolition permit and submitted a non-discretionary or “ministerial” permit application which removes the demolition debate from City review. The basis for the non-discretionary status is California Government Code Section 37361, which exempts buildings owned by religious institutions from being designated historical, which would protect the building under the California Environmental Quality Act (CEQA). That immunity from historical designation renders moot a ruling by the Historic Design Review Commission (HDRC). It had recommended the City Council designate the LDS Meeting Hall a local historic landmark and that the Planning Commission deny the previously discretionary permit. In a staff report for last week’s Planco meeting Community Development Director Larry Oetker said that his department and the City Attorney have reviewed the new application and the law cited by the LDS Church to exempt it from discretionary review, and confirmed that it does apply. Hence the Planco agenda item was informational only. This decision did not sit well with local historic preservationists, who immediately contested the applicability of the law. She asked that granting of the demolition permit be delayed until the State Historic preservation Office could make a ruling on an application to list the building as a State Historic Landmark. The church has objected to the proposed designation, and Oetker said that it is irrelevant. “I have been watching for many years, and I have never seen anything as absurd as this,” Brown concluded. Historic consultant Kathleen Stanton also objected to the demolition recommendation, calling it “very, very troubling.” She said that there are un-considered environmental consequences to the demolition. Stanton said that all demolition permits in Arcata are discretionary. She didn’t understand why a building permit was being issued to un-build a building. “That doesn’t make sense to me,” she said. She also said that the church’s opposition doesn’t invalidate a protective historic designation. “That’s a fallacy that the City is working from,” she said. On Nov. 11, the Brandt-Hawley Law Group of Glen Ellen, Calif. submitted a letter to Oetker on behalf of a group known as the Friends of the LDS Meetinghouse. 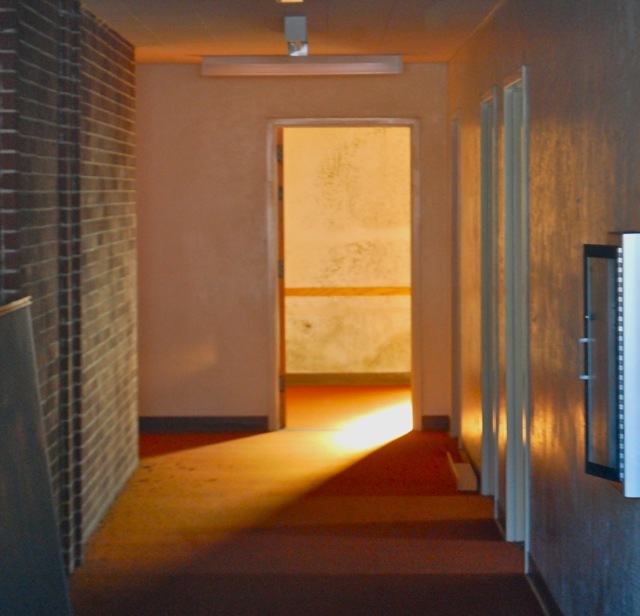 The interior of the building is wracked with mold. It is located over a natural spring, and has been closed up tight for years. The letter, signed by attorney Susan Brandt-Hawley, contests the exemption on several grounds. It states that in order to qualify for the religious exemption, the LDS Church must determine in a public forum that preventing it from demolishing the building would cause economic hardship. “The Church has not provided a current documented claim of hardship and cannot claim the protections of 37361 until it does so,” states the letter. Another of the Friends’ group’s objections is that the demolition permit is just a small part of a larger project which the church is “segmenting” to gain piecemeal approval, depriving the City of a review of the overall project. The Friends also contend that removal of the building could cause environmental impacts related to drainage, plus traffic and other unforeseen consequences. Concludes the letter, “This appeal will be supplemented with additional evidence and argument at the Planning Commission and City Council. The building permit must be set aside and the entire LDS Meetinghouse site project must be subjected to CEQA review. The application of Government Code section 37361 has not been justified under these facts. Additional information may be brought forward by the Friends up until the close of the public hearing preceding final project approval at the City Council. The letter was forwarded by former HDRC member Marc Delany, who said the Friends of the LDS Meetinghouse meets mostly via e-mail. He can be reached at mldelany@gmail.com. Mold streaks the interior walls of the LDS Meeting House, with the fuzzy sheen coating even brick walls. This entry was posted on Friday, November 18th, 2011 at 7:44 am	and is filed under News. You can follow any responses to this entry through the RSS 2.0 feed.